Those injured in a car crash hope that the at-fault party or his insurance company will compensate the injured for the losses incurred—that does not always happen. When insurers deny claims or offer an amount that will not cover the full costs of the victim’s suffering, victims may need the help of an attorney who can file a lawsuit on the victim’s behalf. Every injury case is different, and cases may go through the personal injury legal process in order for a victim to get compensation. Once you have retained an attorney, he will notify the person you are suing that you are now represented by counsel. The person or insurance company you are suing is called the defendant, and you are the plaintiff in the case. Demand letter. Once your attorney has evaluated the evidence in your case, he may draft a demand letter to the defendant that outlines the nature and extent of your injuries, the costs you have incurred, and why you are entitled to payment. If the defendant responds favorably to the demand letter, the injury claim may be settled before a lawsuit is ever filed. If the defendant refuses to pay, your attorney may move on to file suit. Filing suit. Your attorney must file a lawsuit within a certain time limit set by your state, called the statute of limitations. Your lawyer may send an official notice of legal action to the defendant, and the defendant will be required to file a response. Discovery. Both parties may now enter into discovery, or the process of gathering evidence to investigate and disprove the opposition’s legal claims. Attorneys in the case send document requests to each other and may take depositions from witnesses in the case, generally beginning with the plaintiff and defendant. Depositions. A deposition is an interview session that is given under oath with both attorneys present. As the plaintiff, you may be asked to give a deposition that can be used as testimony in court. If you are deposed, the opposition’s attorney will ask you questions and you will be required to answer to the best of your ability. Your attorney should prepare you for your deposition, as your responses and reactions to questions will have an impact on the outcome of the case. Settlement negotiations. Attorneys may discuss settlement offers throughout the discovery period, as each new piece of information could have a bearing on the value of the case. For example, if your attorney discovers that the defendant engaged in illegal activities or provided evidence that reflects badly on them, the defendant may offer a higher settlement to avoid going to trial. Your attorney will bring each new settlement offer to you. If you accept an offer, the case will be over and you will receive payment through the settlement. If you do not accept, the case may go to trial. Trial. A trial can take several months or even a year, depending on the complexity of the case and the availability of a judge to hear the case. 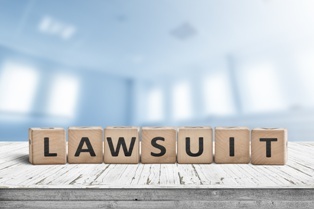 Although plaintiffs could potentially be awarded much more by going to trial, they also risk the possibility of losing the case and not receiving anything for their injuries. For this reason, settlement negotiations may continue throughout the course of the trial, and many plaintiffs will settle their cases instead of getting a decision from a jury. If you are having trouble getting payment from an insurer after an injury, our accident attorneys have offices in Illinois and Missouri to advise you on your next steps and legal rights. Contact the Tapella & Eberspacher Law Firm via our online contact form to schedule an appointment. We also invite you to download your FREE copy of one of our books, When the Rules of the Road Get Broken: A Guide to Illinois Car Wreck Cases or The Missouri Car Crash Guide: Don't Wreck Your Car Crash Case!